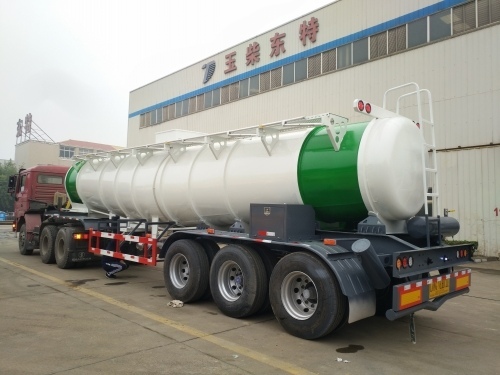 Product categories of Fuel Tanker Semi-trailer, we are specialized manufacturers from China, Fuel Tanker Semi-Trailer, Aluminum Fuel Tanker Semi-Trailer suppliers/factory, wholesale high-quality products of Fuel Alloy Tanker Semi-Trailer R & D and manufacturing, we have the perfect after-sales service and technical support. Look forward to your cooperation! Fuel Tanker Semi-trailer used to transport kinds of fuel, such as gasoline, diesel, crude oil, etc.Our Fuel Tanker Semi-Trailer material adopted carbon steel or stainless steel or Aluminum based on client's different requirement.Fuel Tanker Semi-Trailer volume range from 20000 liters to 60000 Liters.The tanker trailer axle can be 2 axle, 3 axle, 4 axle, etc.